Phases of the Moon was a grass-roots Illinois music festival at a 3000 acre park in Danville, Illinois. 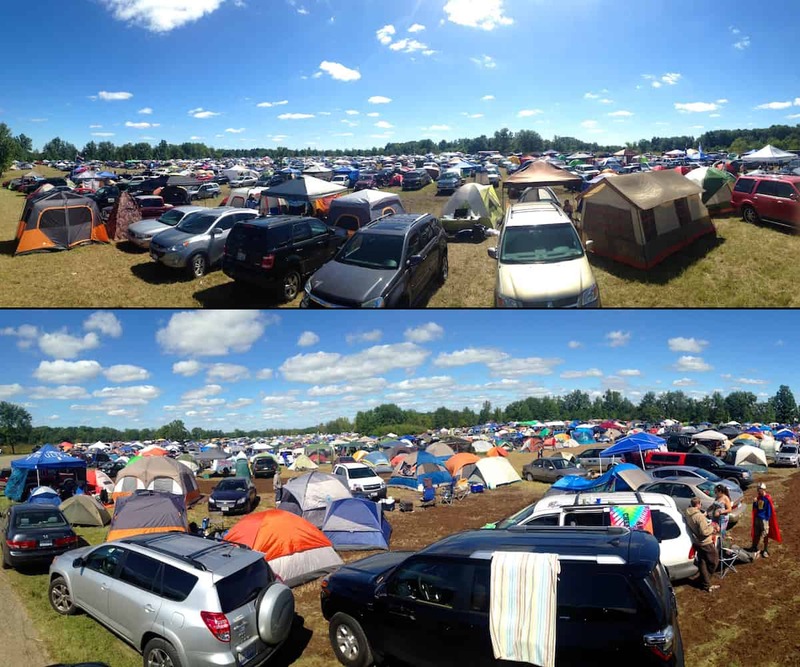 Multiple outdoor stages held nearly 80 music performances throughout the 4 day camping event. Tourgigs produced and directed the video portion of the event, and their sister company, Blastro Networks provided the live video stream to more than 36,000 online viewers. The monsoon that blew through earlier that week completely saturated the ground with more than 4 inches of rain. When we arrived on site, we were greeted with 40-degree wind-chills and mud that only track loaders could maneuver through. 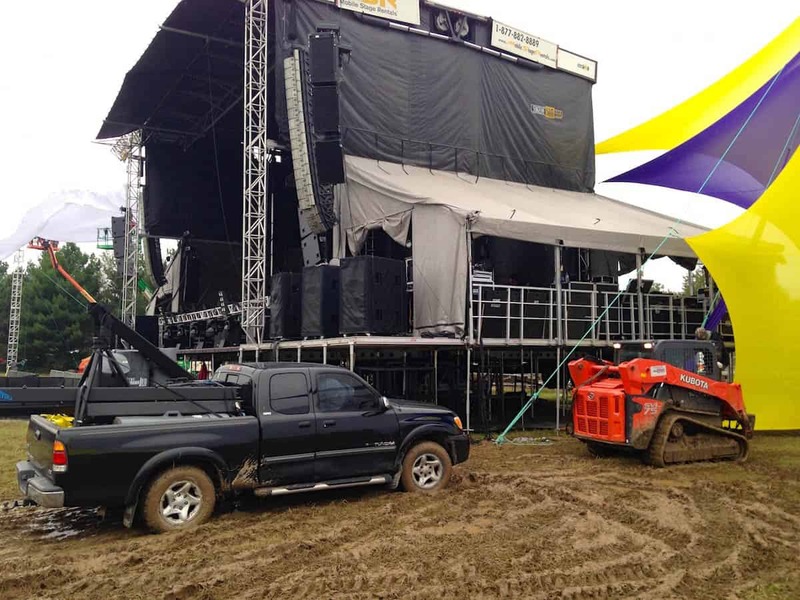 In fact, that is how we got our gear to the front of the stage… by being towed in. Eventually, the warm sun (along with 600 tons of mulch and hay) helped dry the ground enough for more than 9,000 festival goers to enjoy the rest of the festival. It also allowed Tent City to accommodate nearly 5,000 campsites. 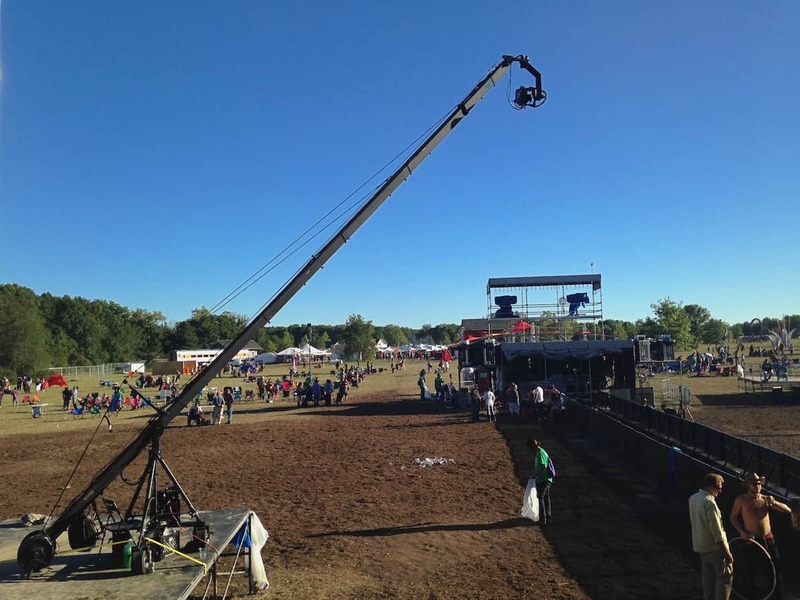 Once our platform was built, we loaded in and set up the 24ft Jimmy Jib with a Panasonic HPX-370 camera and Fuji lens. Our HD-SDI video signal was transmitted through fiber to the broadcast trailer. Despite not having a safety rail or barricade around the jib platform, the audience was extremely respectful of our equipment and space. Although that wasn’t exactly the case for the lead singer from one of the bands, who apparently felt invited to jump up on the jib platform and continue his performance with the tail of the jib swinging next to him. We’re not complaining though… it gave us one hell of jib shot, which we’ll upload as soon as we can. For the evening performances, we sent our program feed to the two 100ft-wide video screens on either side of the stage. As you can tell from the very top photo, the night shows were spectacular! All in all, we had a great time, and are looking forward to an even better festival in 2015.